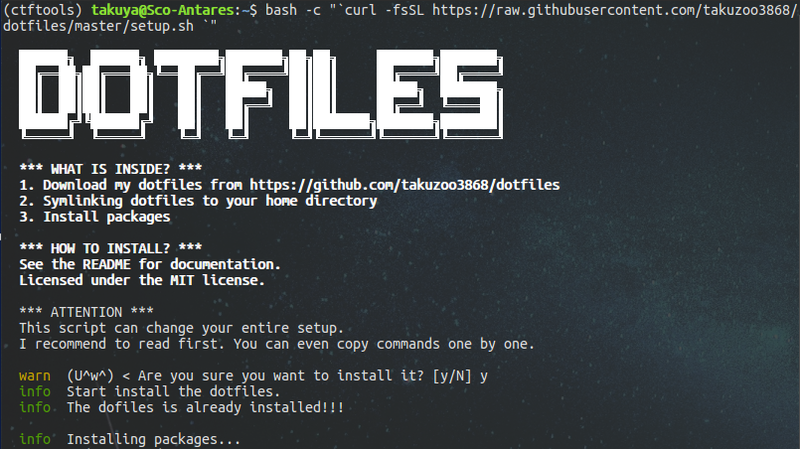 $ bash -c "`curl -fsSL https://raw.githubusercontent.com/takuzoo3868/dotfiles/master/setup.sh `"
echo -n "  info  "
echo -n "  error "
echo -n "  warn  "
info "Start install the dotfiles." # F0ck wind0ws. G0 t0 he11! error "Your platform ($(uname -a)) is not supported."